In the second Autumn term, we will be learning lots about the past with a special focus on World War 2 and what life was like in the past, compared to what it is like now. He showed us what people's jobs were like. We found out how children had fun. We found out about the local area. Here we organised dates on a timeline. An old living room from the early 1900s. How they washed clothes a long time ago! We found out how the canal boats were used. Pudsey came to visit us to tell us about Children in Need! 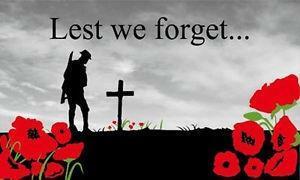 In literacy this half term, we will begin with a poetry unit which focuses on Remembrance Day. We'll be looking at rhyming patterns and couplets and what makes a good performance. Hopefully, we will be able to perform in the Remembrance Assembly. We will then be learning how to write a recount based on our planned trip to Portland Basin. Our book of inspiration this term will be 'Penguins Can't Fly'. From this book, we will utilise our recount skills, writing a recount from the perspective of the Penguin before innovating the story to write our own making links with animals and habitats in science. After learning lots about the brain last half term, we will now be moving onto the next module entitled celebrate. Science will focus on how people survived on food rations in World War 2 and we will investigate how hard it can be to grow your own food! Children will also be developing the speaking and listening skills through our nativity play which will be performed in December.